Portugal is actively supporting the health and well-being of its citizens through an initiative to integrate oral health into primary healthcare centres. Dental care has remained out of reach for many in Portugal due to high treatment costs – the National Programme for the Promotion of Oral Health was conceived to make quality dental care more accessible to those who need it most. 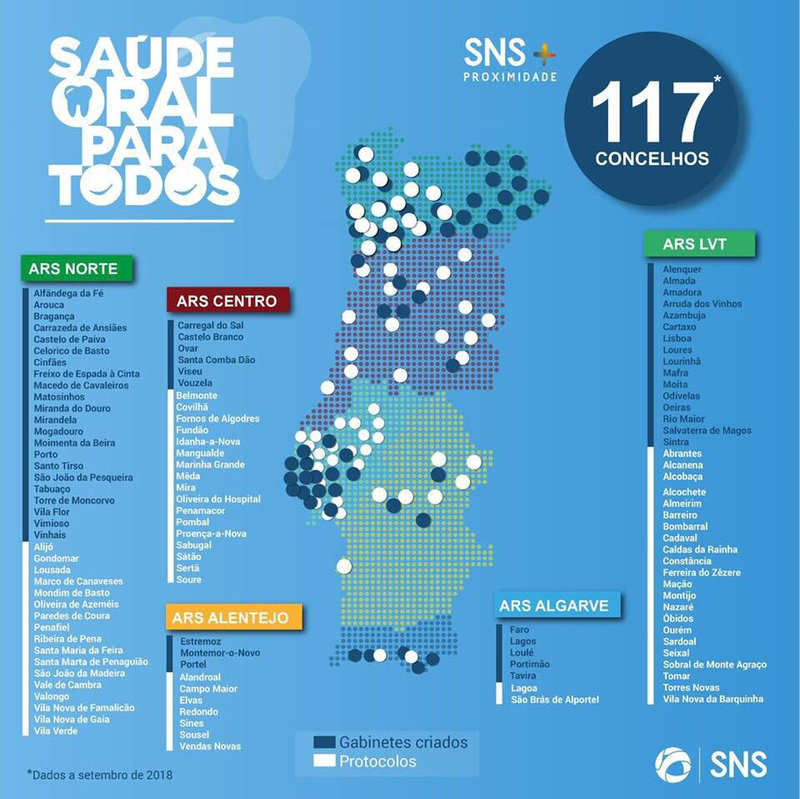 Officially underway since September, this government-led action aims to offer dentistry services in at least one primary healthcare centre in each municipality in Portugal. The Ministry of Health consulted with the Portuguese Dental Association in the design and implementation of this programme. FDI has long been an advocate for a holistic approach to health treatment and care and considers oral health as an essential component of overall health. Investment in oral health is linked to positive outcomes that extend far beyond the mouth: according to WHO, effective national strategies to promote oral health and prevent oral diseases show population-wide improvement of oral health can contribute to preventing the leading noncommunicable diseases (NCDs). FDI sat down with Dr Orlando Monteiro da Silva, president of the Portuguese Dental Association (OMD), to understand his perspective and role in developing this exciting new initiative to integrate dentists into primary healthcare centres. These are edited excerpts from the interview. Dr Orlando Monteiro da Silva, FDI past President (2011-2013) and President of Ordem dos Médicos Dentistas. What is the purpose of integrating oral health clinics into primary care facilities? Oral health is part of overall health - both are inextricably linked. When the Portuguese National Health System was created 40 years ago, dentistry was left out, with very negative consequences for the population's oral health. Unfortunately, oral health came second, and was a branch of medicine separate from all the others. This gap had a tremendous impact on people's oral health, particularly for those with few economic means. The integration of dentists into primary healthcare centres is meant to fill that gap. How did the Portuguese Dental Association contribute to the development of this programme? The Ministry of Health launched the project in September 2016 – it was a pilot project implemented in 13 primary healthcare centres. There are now 60 healthcare centres offering dental appointments. We estimate that by the end of the second half of 2020, there will be at least one dentist in a health centre in each municipality. The Portuguese Dental Association has actively cooperated with the Ministry of Health from the start. Our main concern has always been to guarantee that the population gets the best possible oral healthcare, in compliance with good practice guidelines in terms of facilities, equipment and materials provided, as well as to ensure decent working conditions, particularly fair wages, to all the dentists involved in the programme. How has the programme been received by patients in the community? The project targets low-income people who cannot afford a private dentist. A number of those people have never had a dental appointment before and have serious oral health problems. Therefore, treatments are expected to be long and complex. Patient screening will be conducted by the local GPs, who will refer the most serious cases to dentists in their respective healthcare centres. The biggest challenge will be to address patients' needs in full. "The patient response has been very good so far and, as we anticipated, people have shown great interest in the programme. Since the beginning of the pilot project, more than 37,300 patients have had access to a total of 90,500 dental appointments and 105,000 treatments." For now, over 60 municipalities in Portugal have integrated oral health and primary healthcare facilities. What is your perspective on the future of this initiative? What are its limitations? Despite its expected growth, this programme is intended to target a very specific sector of the population. It is a noteworthy initiative of enormous significance for patients, but it does not solve Portugal's oral health problems. We need to guarantee that more and more people have access to oral health. Portugal has a current network made up of more than 5,000 dental offices and clinics, perfectly able to meet the population's needs. I'm convinced that public and private players will soon join forces to find a solution for the oral health of all the Portuguese. Dr Paulo Ribeiro de Melo, FDI Council member and president of the General Council of the Portuguese Dental Association, describes how he views the link between oral health and overall health in the context of this new health programme in Portugal. "There is a lot of work to be done to help everyone see that the mouth is an essential part of the body. The integration of oral health into primary healthcare centres demonstrates that oral health is part of general health and that’s the reason why it makes sense to be addressed together with primary care. We need to show all stakeholders, including politicians, physicians and other health professionals, that a strong relationship exists between oral diseases and other NCDs and the important role that good oral health can play in overall health and quality of life."